I invited her to lunch to thank her for a number of favors she had done for me and Michelle gave me yet another. When it came time to pay, I insisted on the bill to which she agreed. 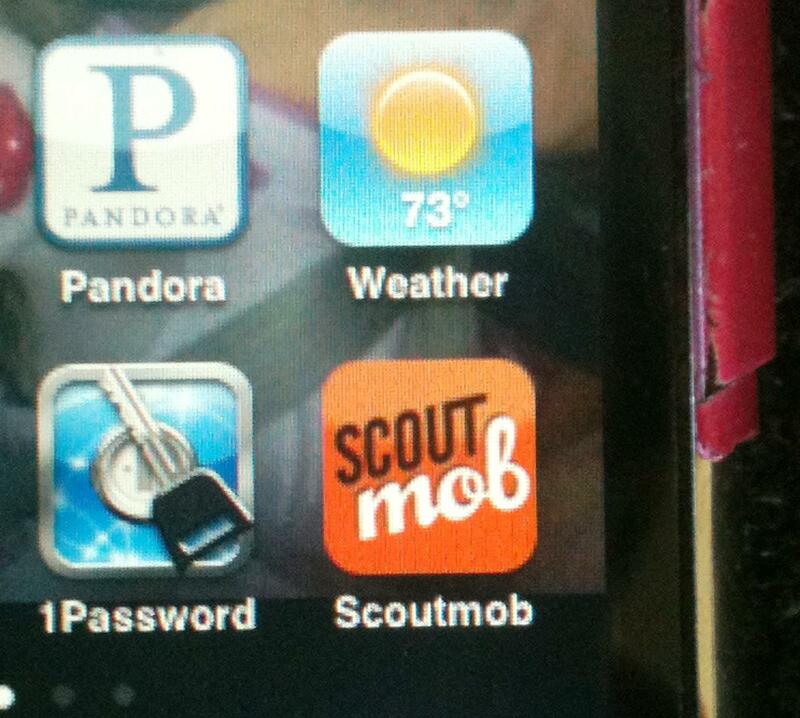 She asked if she could use her Scoutmob and I said okay, not knowing what I had consented to. She handed her phone to the waiter, he fiddled with it, took my credit card and left the table. When he returned, the bill had been reduced by 1/2. There is a phrase in business called KISS an acronym meaning Keep It Simple, Stupid and I’m wondering, “are the people at Scoutmob stupid?” Because how simple can you get? 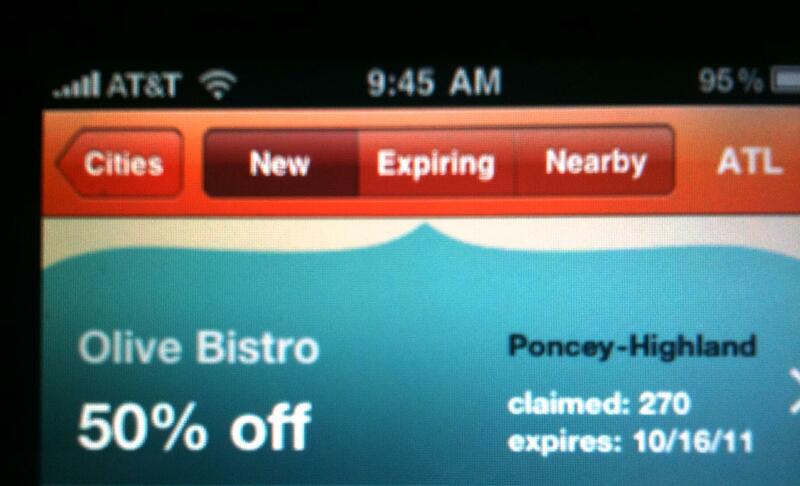 You hand the waiter the phone, your bill is cut in half. So, I asked Michele to show me how to download this application, which she was happy to do. Once the download, the KISS keeps coming because they give you three vital tabs: one for showing you all the deals in the area where you are at the moment, one where the deals are ranked newest to oldest and one listing all the deals which are about to expire. And they e-mail you updates on the newest deals in their cache. If you can’t hassle with purchasing dinning dollars with dollars, don’t like limitations on when and where and how to use coupons, can’t find or organize the bargains you’ve found and misplaced, this just may be for you. To Michelle W. a big smooch! We need this in Charleston!